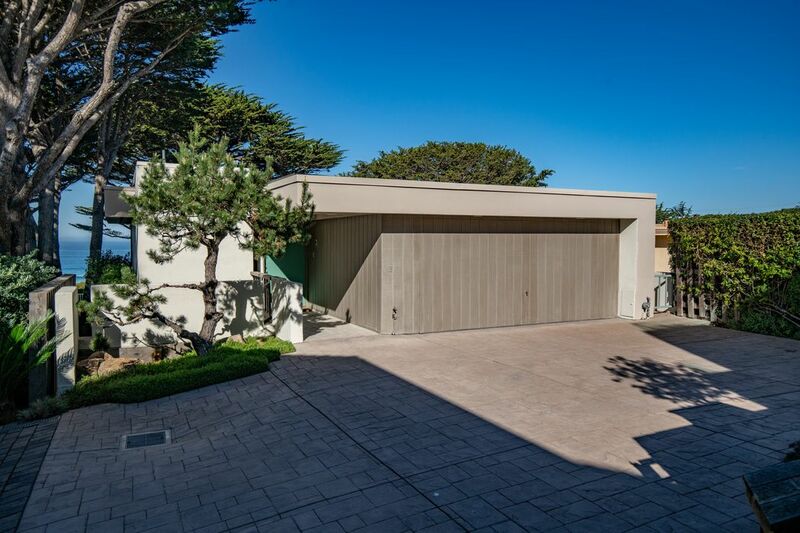 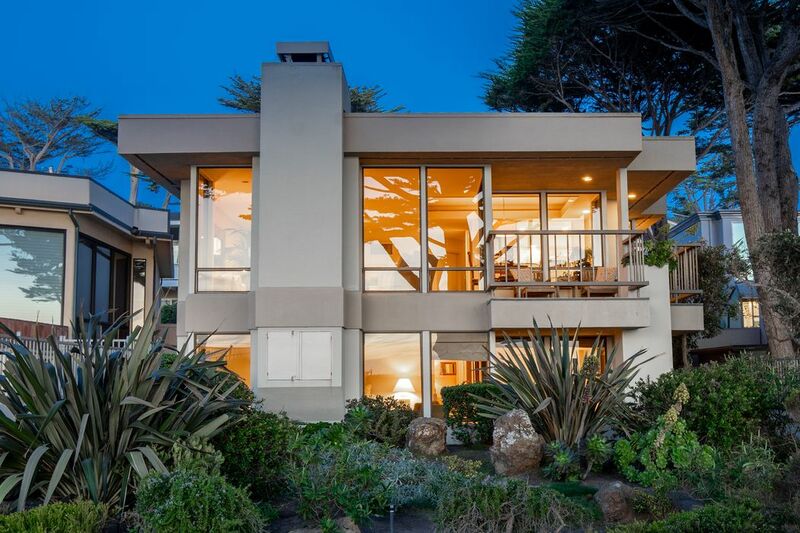 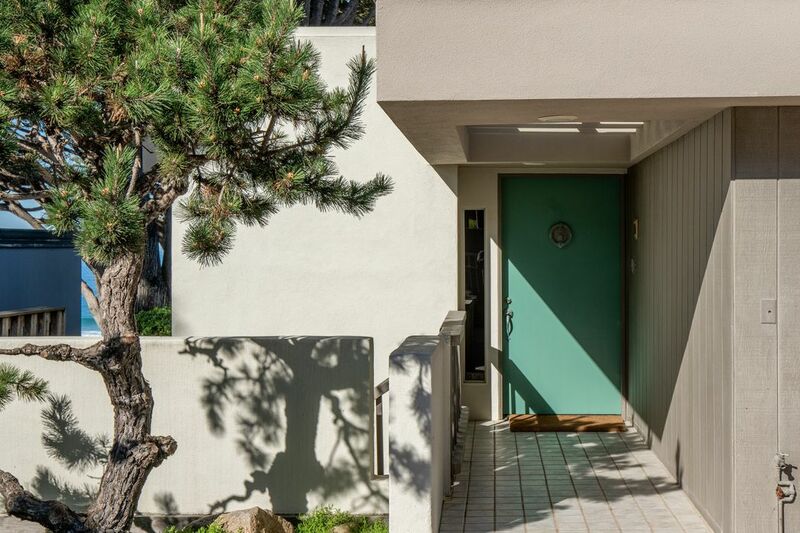 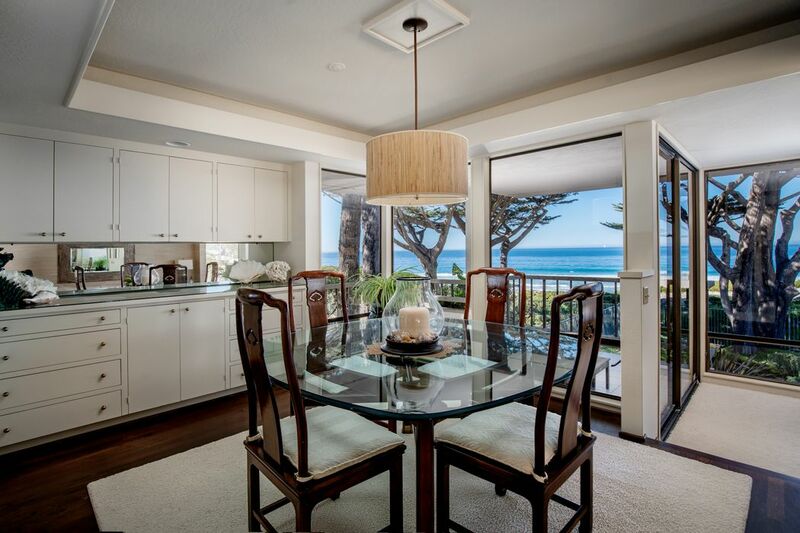 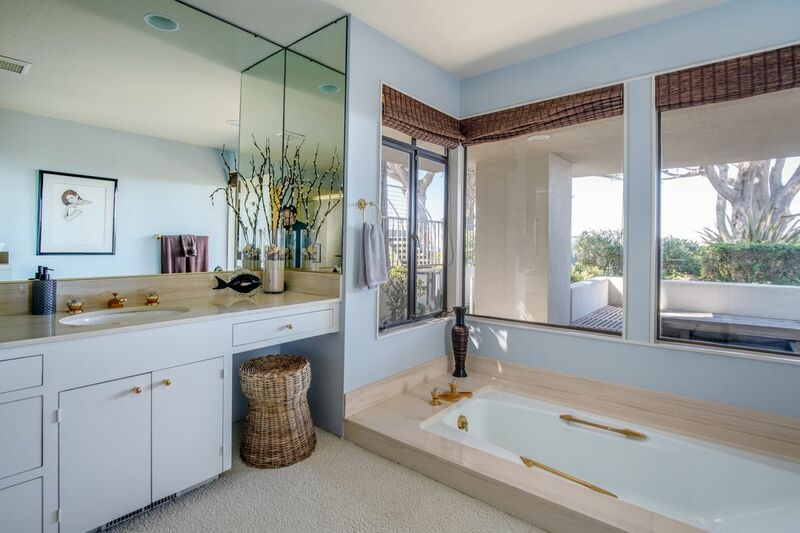 Del Mar 5 Se Of Ocean Carmel, CA 93921 | Sotheby's International Realty, Inc.
$10,500,000 3 Bedrooms2 Full / 1 Partial Baths2,176 sq. 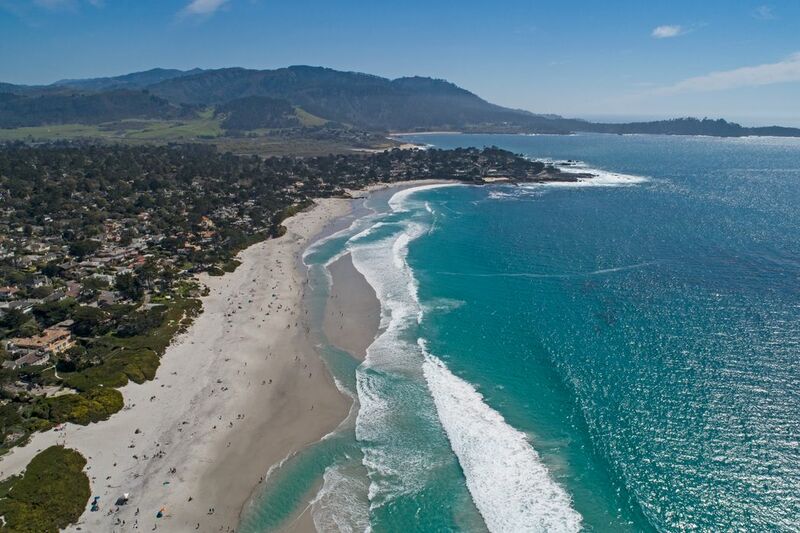 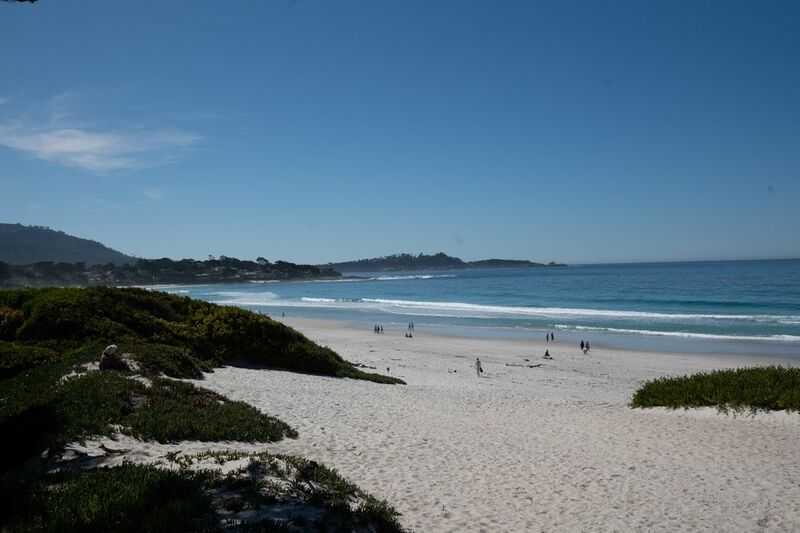 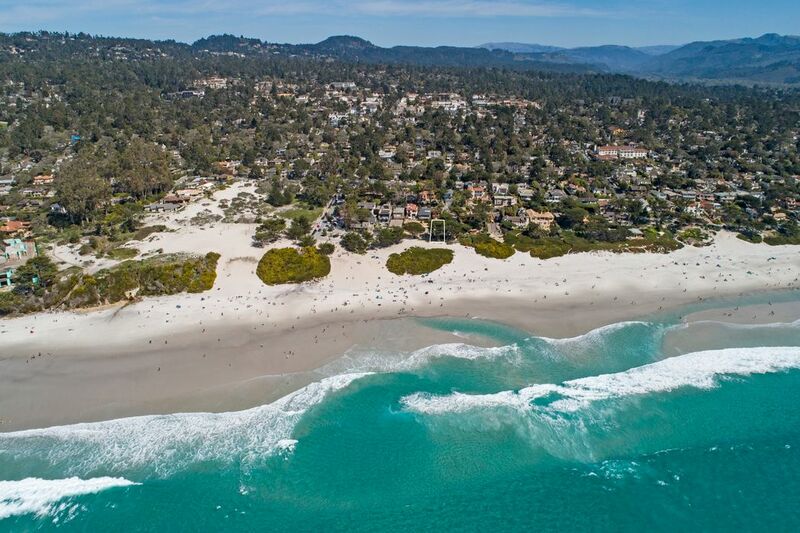 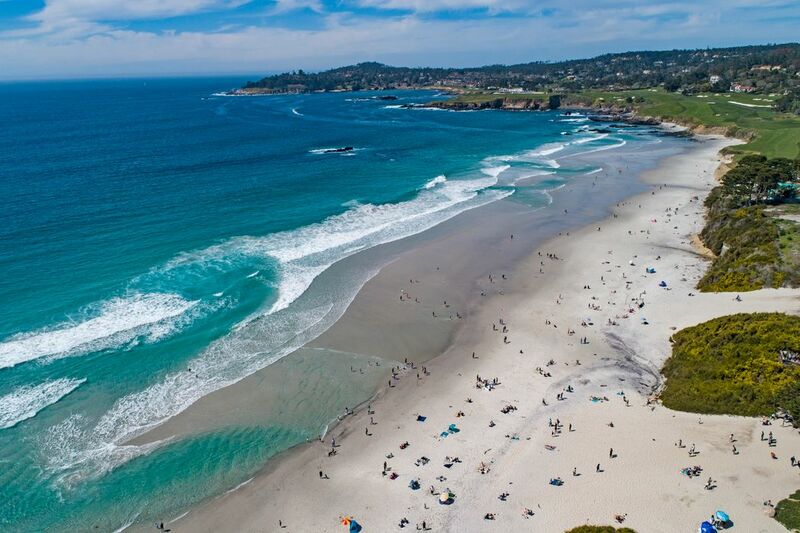 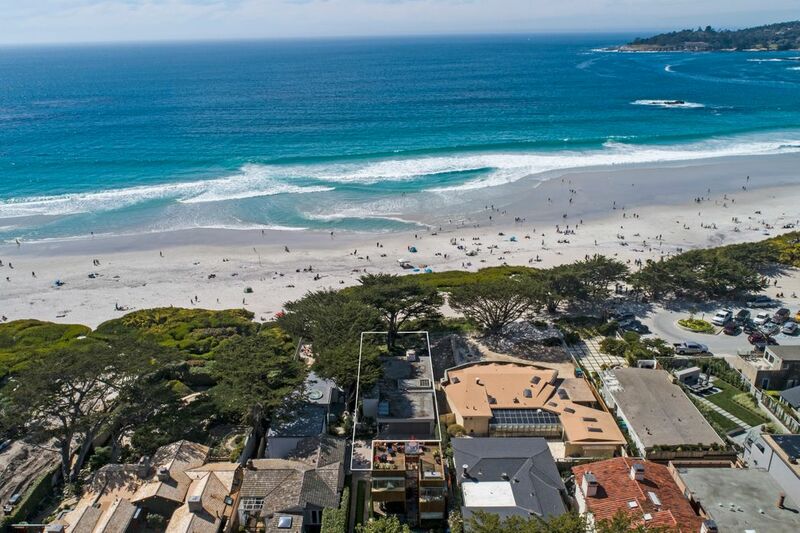 ft.
Rare contemporary ocean front home available on famous Carmel Beach. 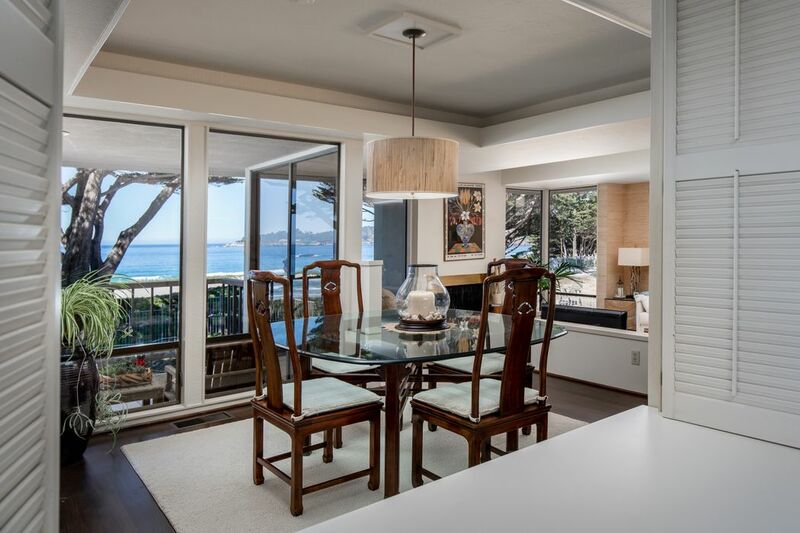 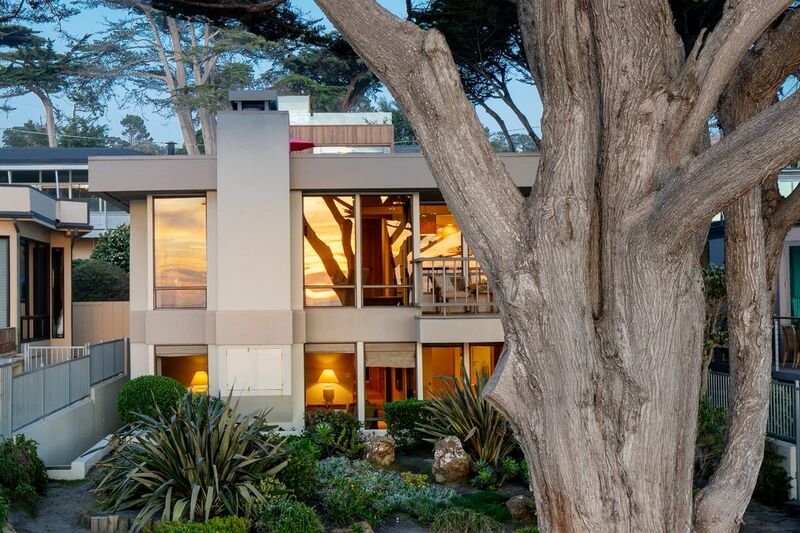 Designed by Paul Davis, this two-level extraordinary home features breathtaking sunset and ocean views from Point Lobos to Pebble Beach. 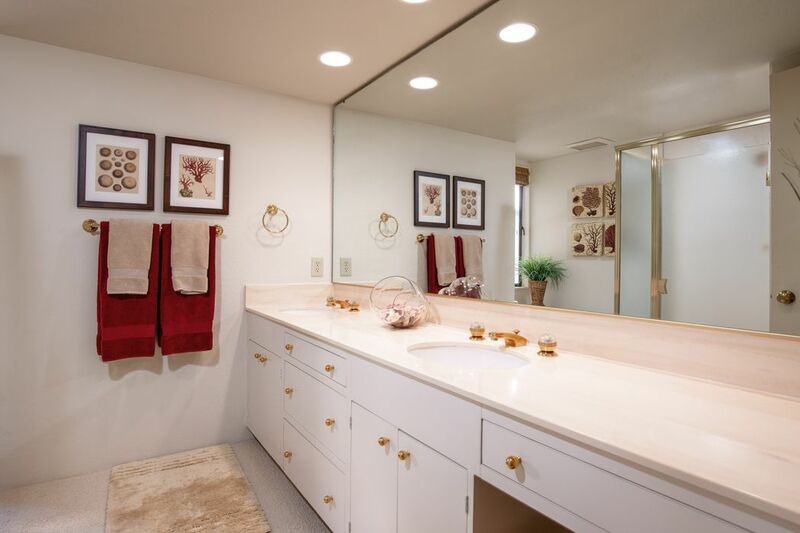 Three bedroom two and a half bath with two fireplaces is a must see. 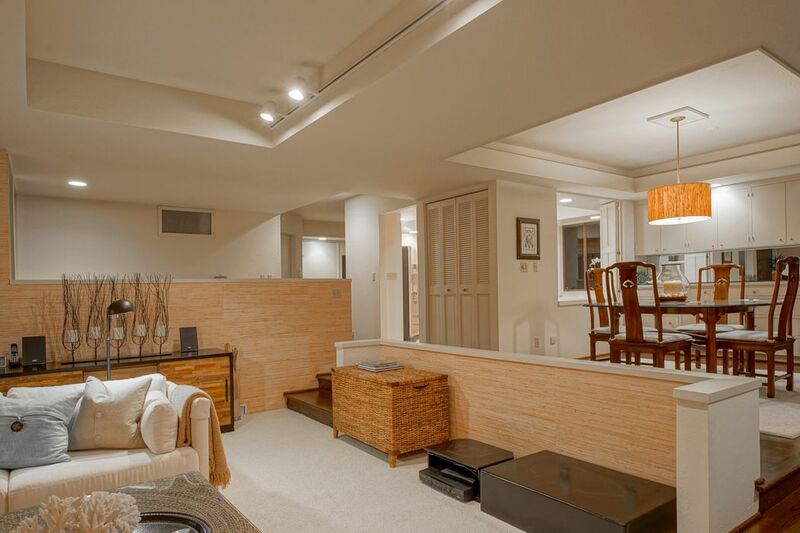 First floor has a half bath, bar, kitchen, living room and dining room. 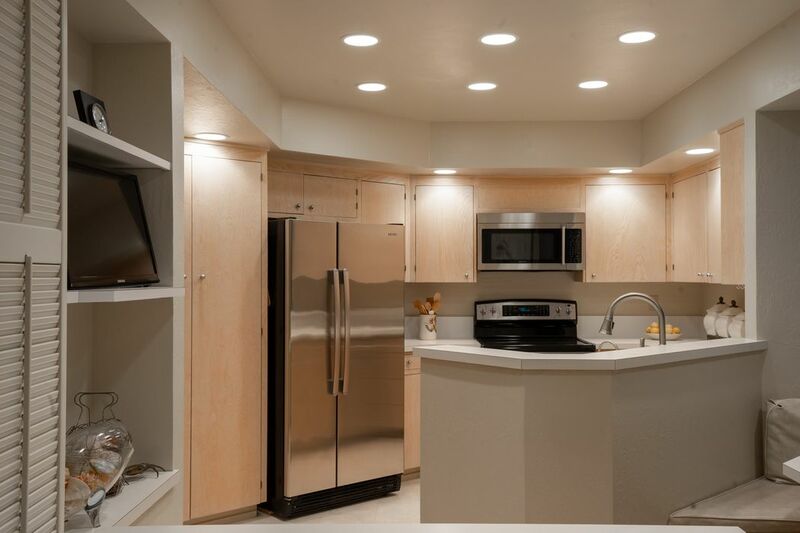 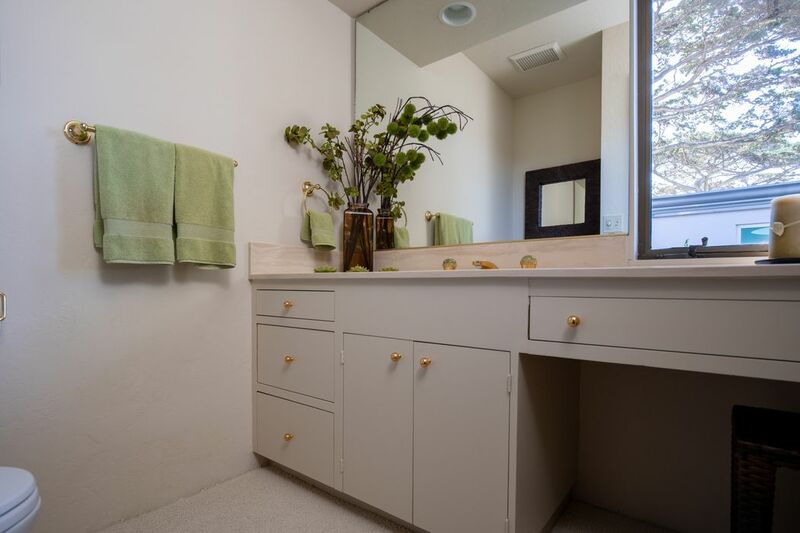 Lower level second floor has two large bedrooms and full bath with dual sinks. 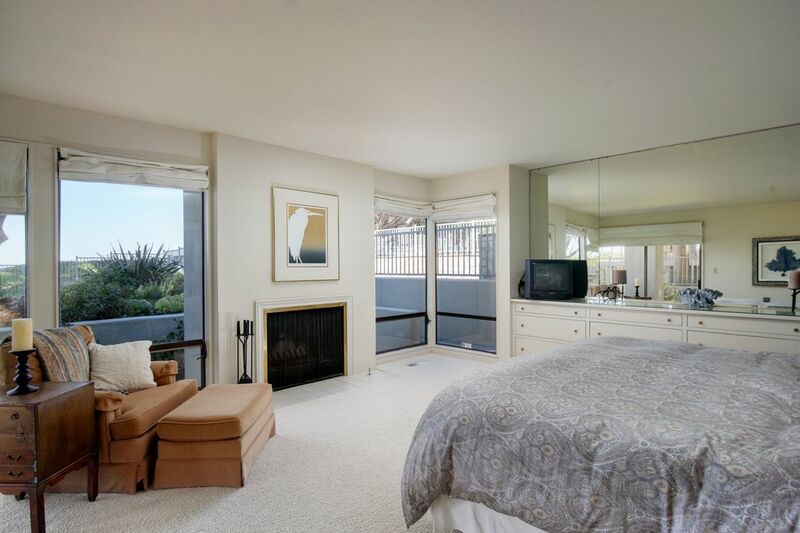 You will also find an amazing large master bedroom with ensuite. 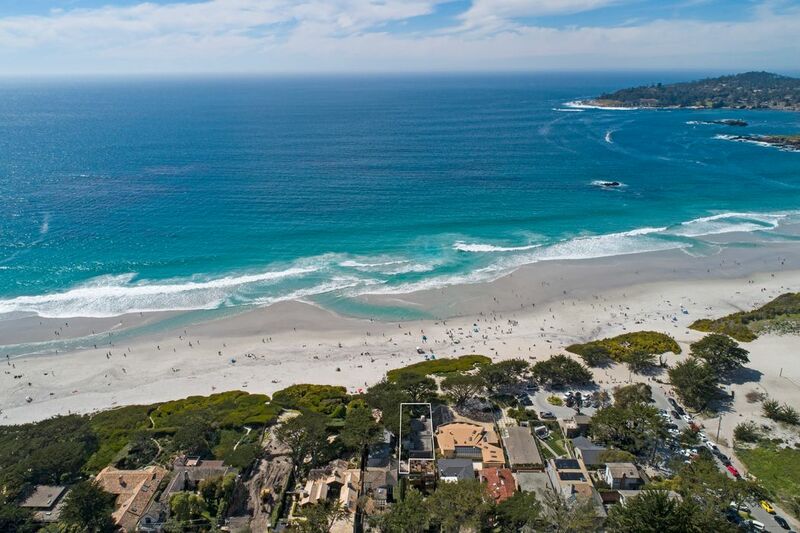 Take a short stroll to Ocean Ave. where you will find galleries, shopping, dining and entertainment. 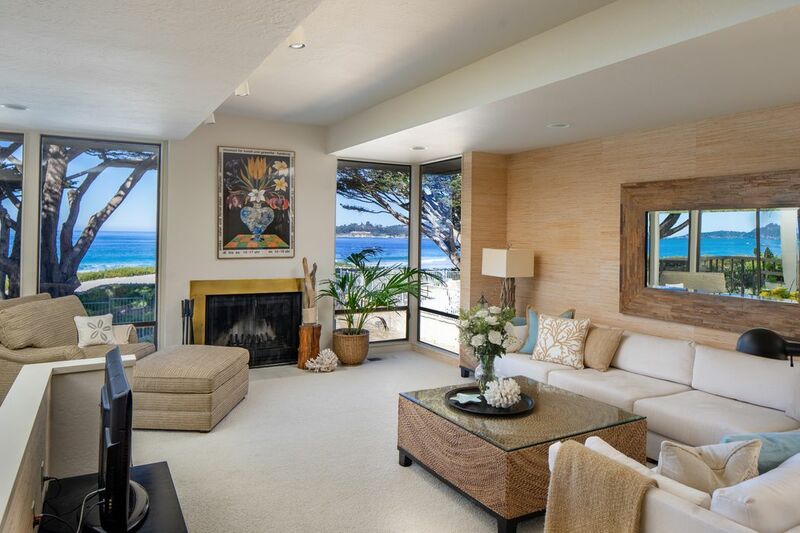 Get lost in the sound of the waves crashing on the sand from the deck, master bedroom or living space. 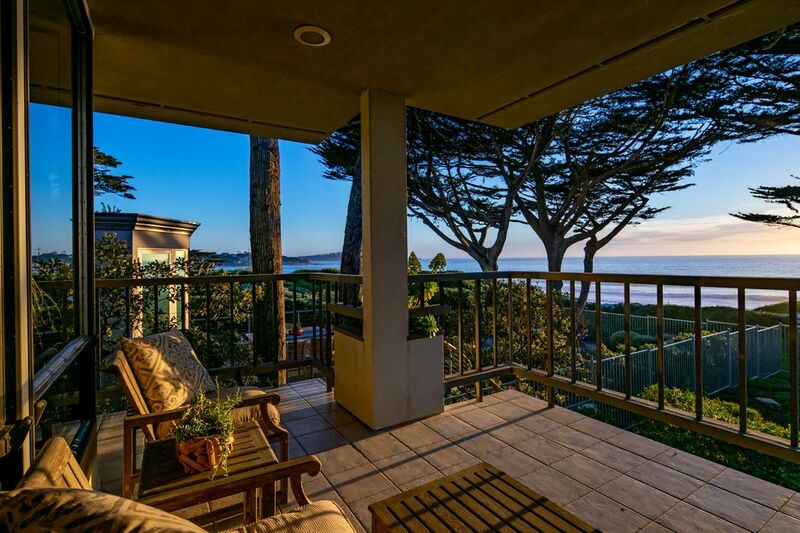 Beautifully landscaped yard with enclosed wrought iron fence and private access to the beach. 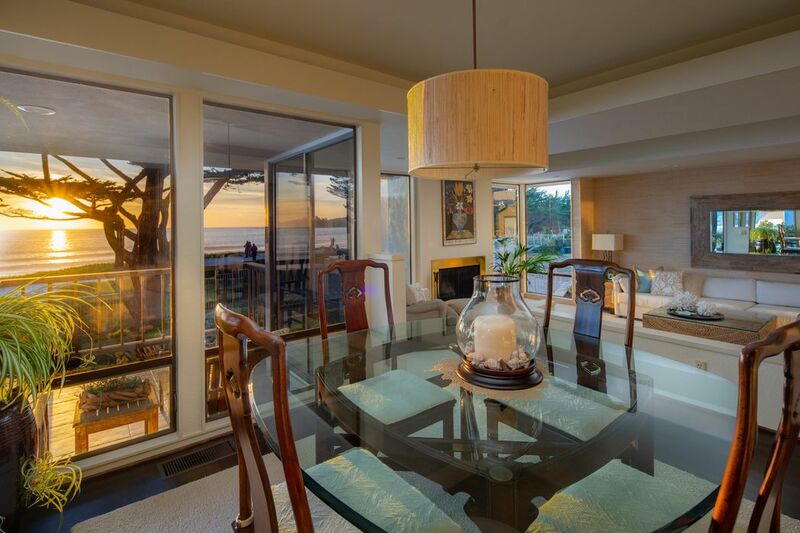 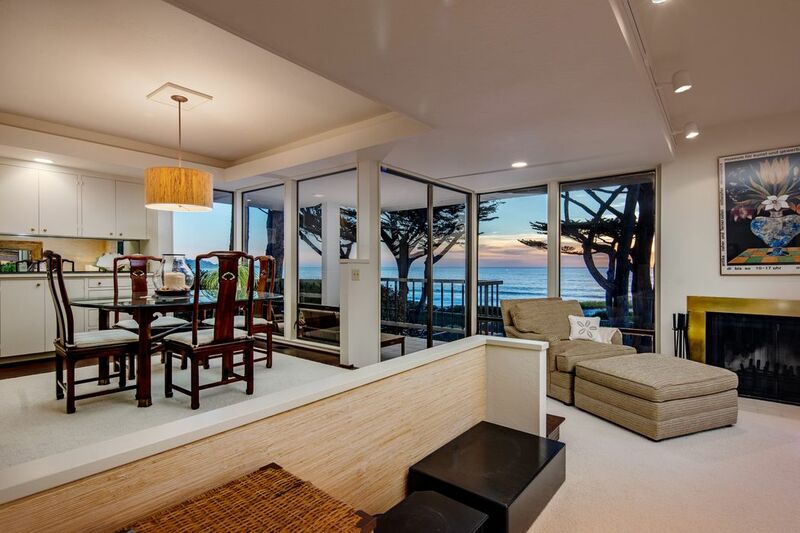 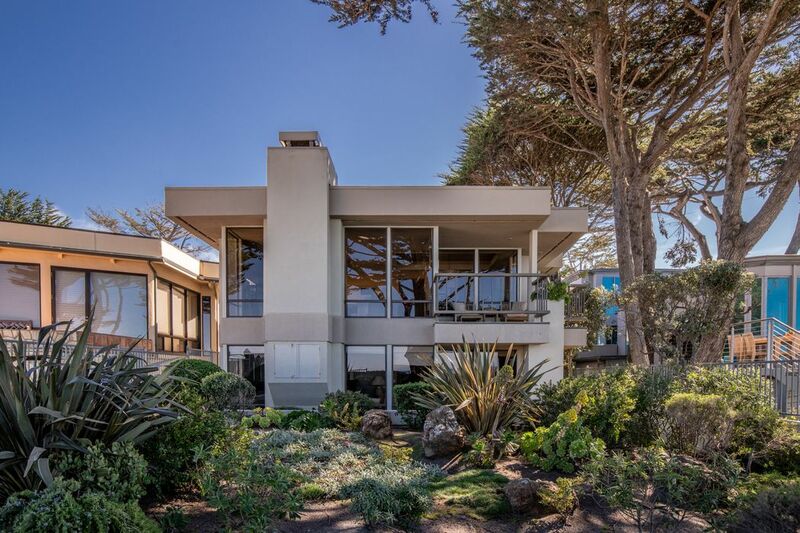 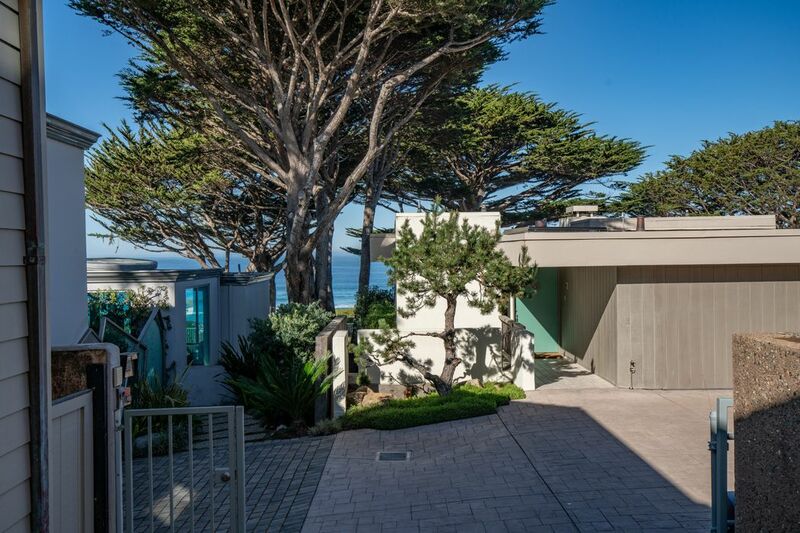 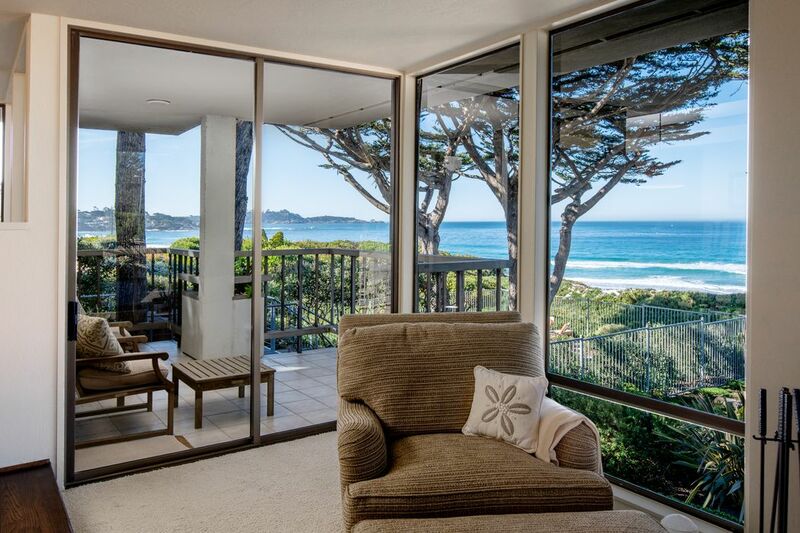 Rare contemporary ocean front home available on famous Carmel Beach. 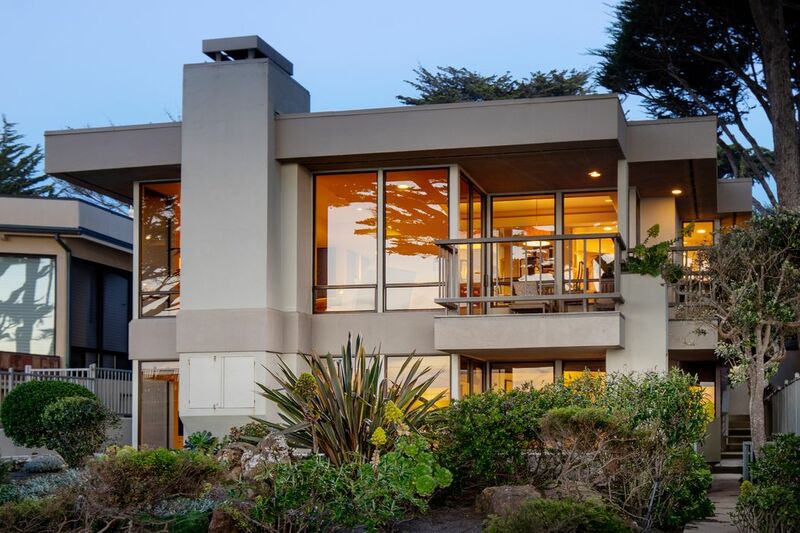 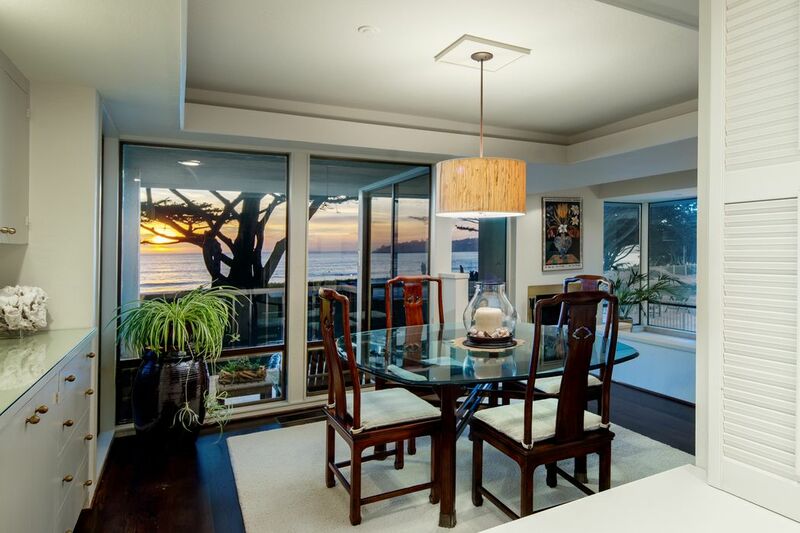 Designed by Paul Davis, this two-level extraordinary home features breathtaking sunset and ocean views from Pointe Lobos to Pebble Beach. 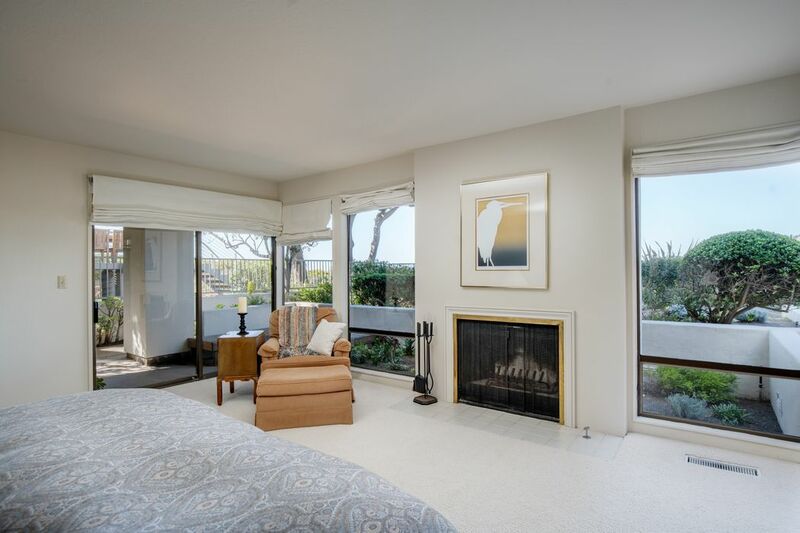 3 bedroom 2 ½ bath with two fireplaces is a must see. 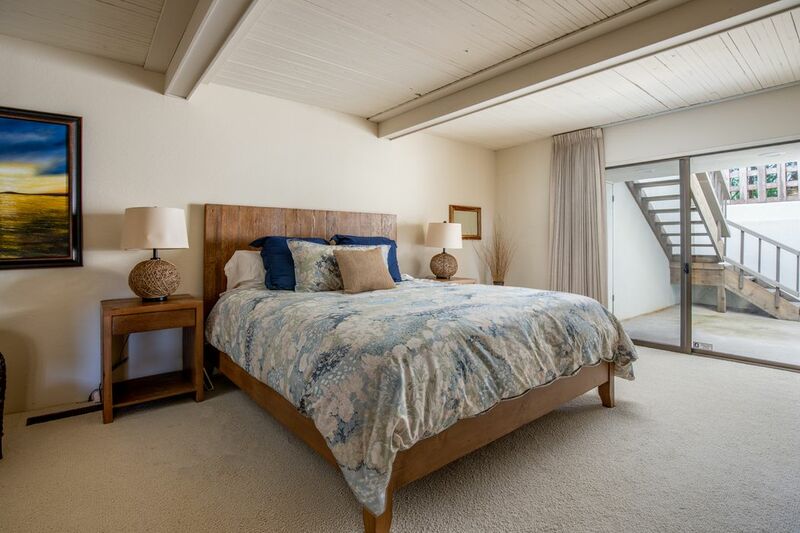 1st floor has ½ bath, bar, kitchen, living room and dining room. 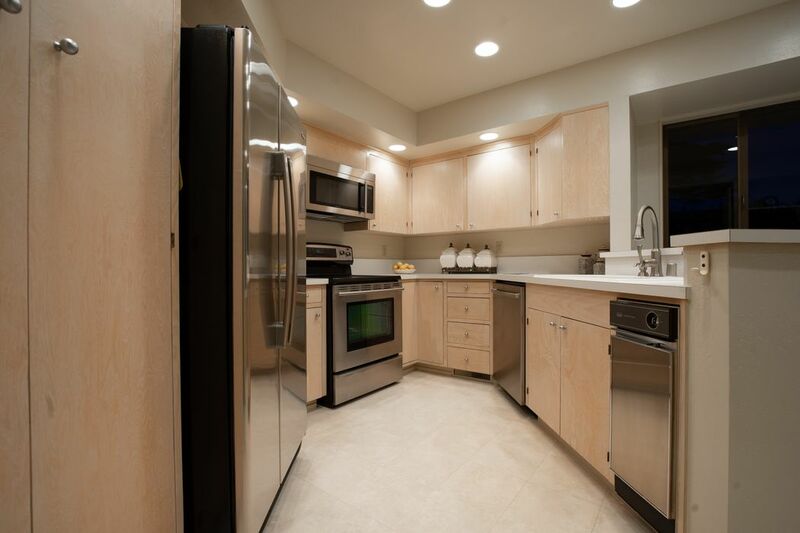 Lower level 2nd floor has two large bedrooms and full bath with dual sinks. 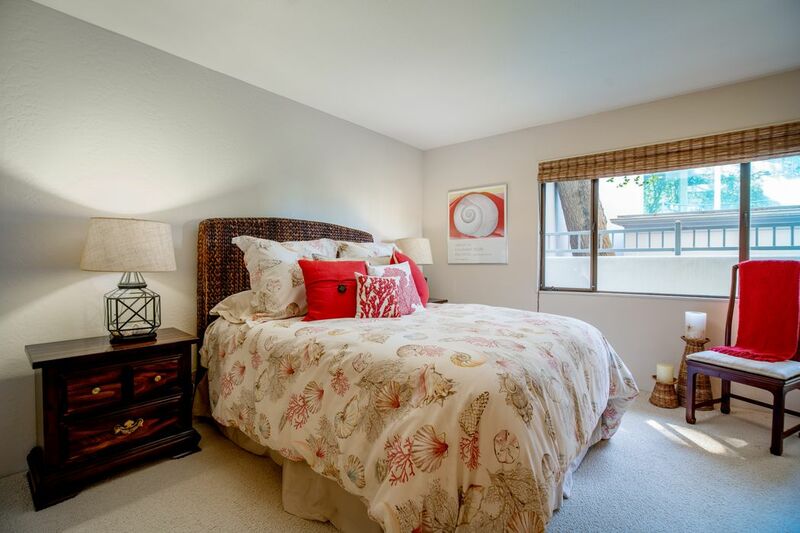 You will also find an amazing large master bedroom with ensuite. 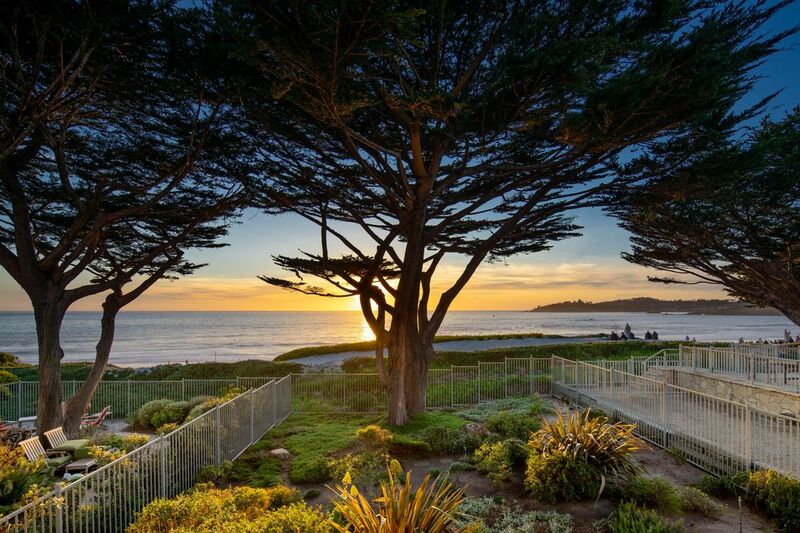 Take a short stroll to Ocean Ave. where you will find galleries, shopping, dining and entertainment. 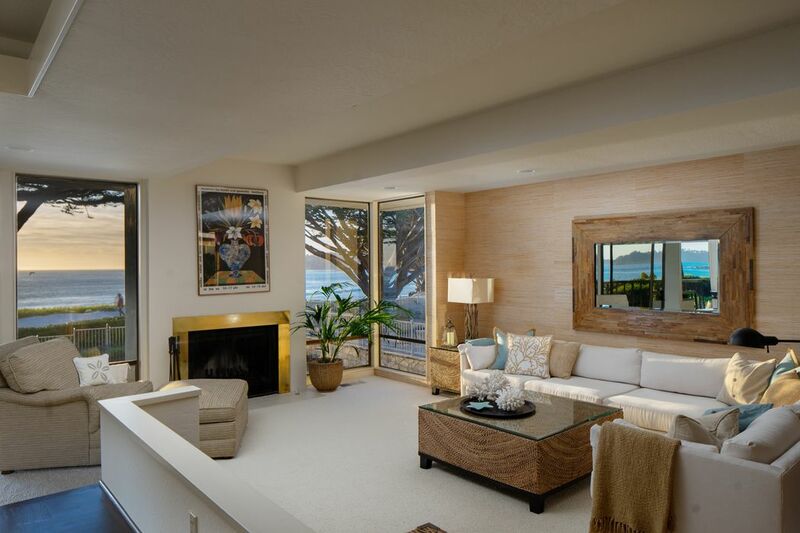 Get lost in the sound of the waves crushing on the sand from the deck, master bedroom or living space. 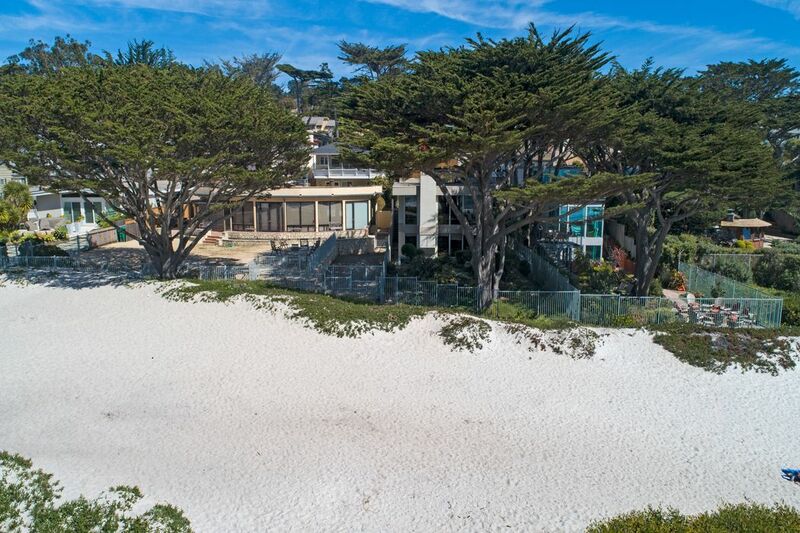 Beautifully landscaped yard with enclosed wrought iron fence and private access to the beach.